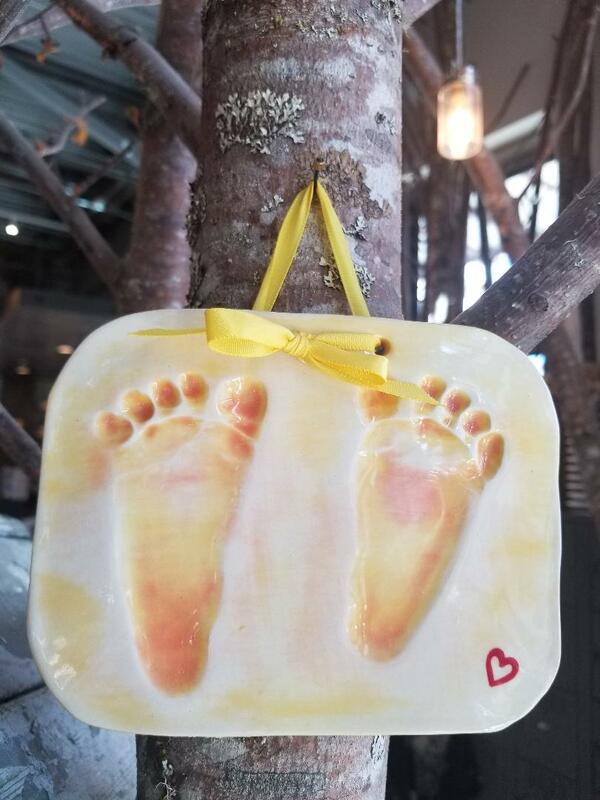 Capture the memory of your baby's tiny feet and hands in a one-of-a-kind ceramic plaque that you will treasure forever. Getting your child’s hand or foot impressions in clay is a very special moment - one that can never be bought back! Children grow up so quickly – capturing their impressions into a beautiful keepsake is a memory that is just priceless! Baby handprint and footprint crafts are fun to make. You can keep them for yourself or give them as gifts to anyone involved in your child's life. Appointments take approximately 30 minutes. Making the imprints is a quick process, and the hardest part of it all is deciding exactly what you’d like. 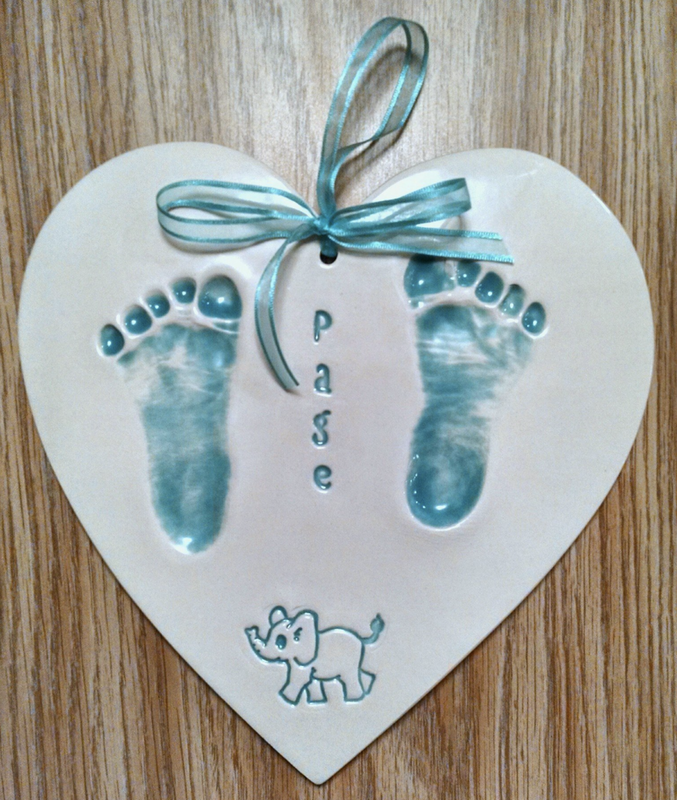 At your appointment, you will choose a shape you’d like your child’s imprints to be made on, the color you’d like the prints to be, and how you’d like to decorate your plaque. Please keep in mind that our typical turnaround time is approximately 3-4 weeks. If your keepsake is meant to be a gift and needed in time before a specific holiday, please let our instructor know so it can be noted on the order form. We can not make assumptions that certain keepsakes are needed in time for a holiday; letting the associates know will allow us to keep track of your order in time for the holiday deadline.